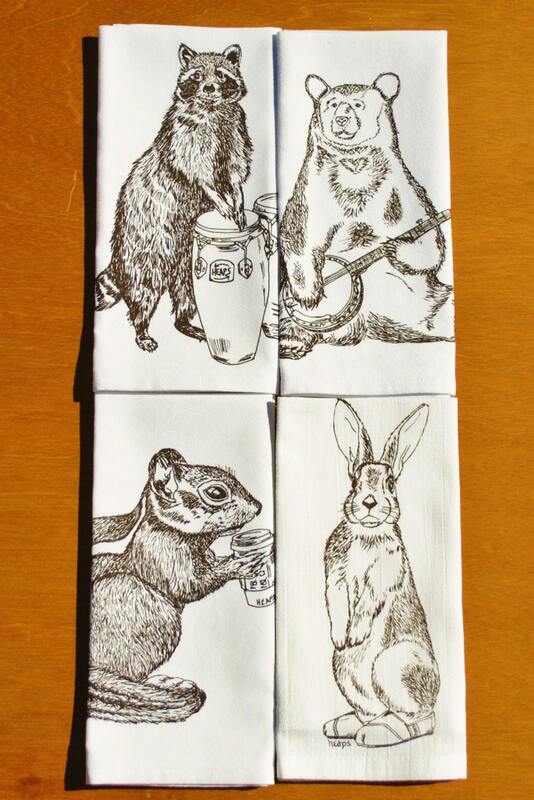 Set of four cotton napkins that are washable and reusable. 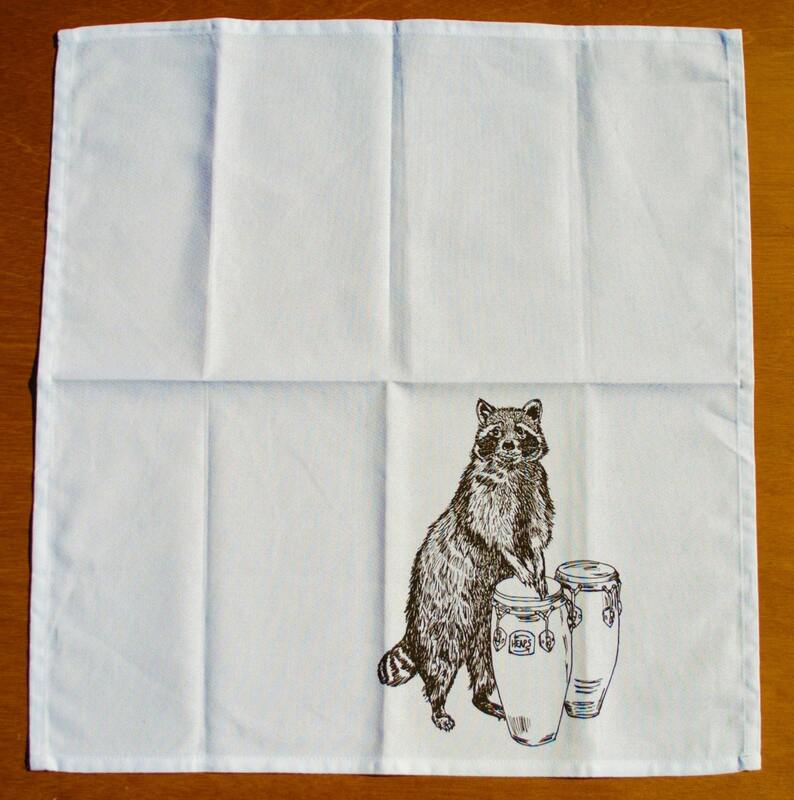 These are bright white cloth table napkins featuring woodland creature images of a brown raccoon, chipmunk, rabbit, and bear. I personally hand draw all of my designs and hand pull all of my screen print images. 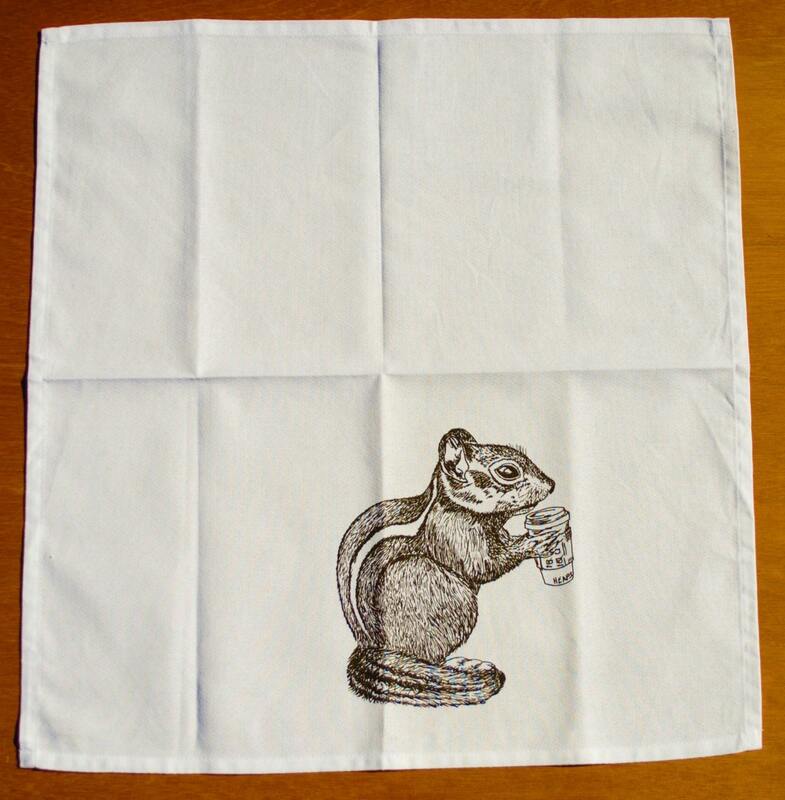 The printed cotton table napkin are eco-friendly napkins premium quality 100% cotton. They are nice and thick and will stand up to everyday wear. I use high quality water based inks that are earth friendly and long-lasting.